Before we get to my top ten list I feel a special mention has to go to the amazingly addictive Windjammers – an old Neo Geo game that puts two players against each other in what is essentially an awesomely extreme version of Pong. Never released in European stores, Windjammers isn’t the easiest game to come by instead needing to be downloaded (in our case on the much disliked Ouya system). Hours of research and failed attempts made 100% worth it after our first competitive match. Every nerve shredding point, every exciting rally or super move – this game has been the star of many a drunken evening and will continue to do so long into 2014. You’d think with all the zombie games that keep getting released the shuffling undead would have long outstayed their welcome by now. After playing Xbox One exclusive Dead Rising 3 that remains yet to be the case as it delivers another fun filled dose of mindless zombie violence in a way that no other series out there can quite pull off. While I’ll admit I wasn’t much of a fan of Dead Rising 2 nor its pointless side story-type game Off the Record, the latest entry manages to offer just the right balance of silly while also eliminating a whole bunch of things that had me keep my distance in the first place. A massive open city, ridiculously huge swarms of zombies, combo weapons, combo vehicles, an entertaining B movie story and much more make for what may be the best Dead Rising adventure yet. I absolutely fell in love with Luigi’s Mansion back when I bought my Gamecube. The Ghostbuster’s style gameplay, adorable charm and genuinely refreshing idea had me gripped from start to finish and glad I got Nintendo’s new system at launch (a feeling so rare to find these days with any new console release). Then the unimaginable happened, Nintendo released a sequel. Not only that but one that would manage to address any problems gamers had with the original (environment variety, length etc…) whilst also injecting plenty more surprises for good measure. Along with a few other rare exceptions, 3D actually added something to the visuals of Luigi’s Mansion 2. The shoebox diorama style viewpoint made it a perfect fit, really bringing every room the lanky plumber ventured to life. When you combine this with some truly stunning animation work, you have what may well be the most charming, smile inducing game of the year. Whether you feel the Year of Luigi was a success or failure it’s hard to deny the quality of this little adventure. Here’s hoping we don’t have to wait another ten plus years for another dose of ghost hunting. If there was an award for most discussed story ending it would definitely go to the latest Bioshock title. I mean how often can you say that the ending of an excellent game lived up to its own hype? Sure the combat may have been a little questionable at times and the game did share a few too many ideas from the original in the series but overall the adventure was constantly exciting, the characters always compelling and the story regularly surprising. The floating city Columbia too will always be remembered as one of the most alive and truly interesting settings in a game to date. Like Bioshock’s Rapture you can sense its history – every building, every alleyway, every store. A massive six years in the making, Ken Levine and his team have crafted a memorable experience and one of the few that sent off the generation on a high note. I love a good scary experience be it in movies, games or even the silly horror mazes at theme parks – I’m constantly on the lookout for my next big adrenalin rush. After Slender last year managed to resuscitate my belief in the horror genre in video games, this year Outlast has proven to me that these terrifying sort of games aren’t just fluke. 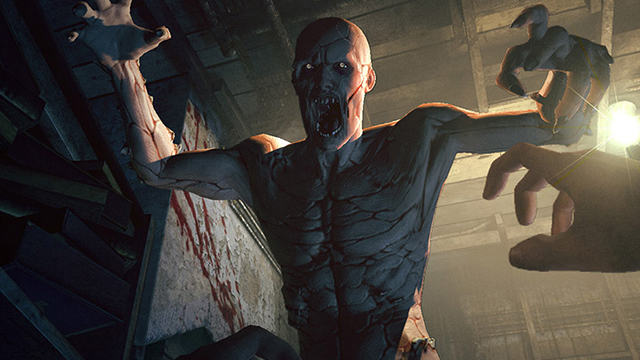 The combination of a constantly unnerving setting, perfectly timed jump scares and a clever running system that makes every dash for your life a heart pounding one keeps Outlast fresh in your mind even weeks after you’ve reached the finale. My only previous experience with that of a Fire Emblem title goes back to the Gamecube days and I have to admit the turn based combat just wasn’t for me. You can imagine my surprise then when Awakening sucked me in for what must be well over forty hours and counting. So where to begin? Despite being on a handheld system the game boasts amazing production values with visuals, music and voice acting at the top of their class. From the gorgeous opening cutscene to every battle you witness on your travels or even each individual conversation between characters the delivery is outstanding. To me the Fire Emblem series feels more at home on a handheld and the excellently explained combat system, addition of relationships and offspring along with a host of extra DLC to invest more time into, this could well be the rebirth of one of Nintendo’s older franchises.